Fergal was born on the Shamrock Nebula. All bears from this nebula are green, just like the space dust that surrounds their home planet. He is the last of his kind and came to Earth to find companionship. Fergal has a strange fascination with moss. They don't have this 'wonderful soft green stuff' on his planet, and he loves the taste of it! He would eat it by the bucket-load, given the chance. Fergal's favourite game is hide and seek. He also loves nothing more than cuddling up on an evening to watch a good movie. 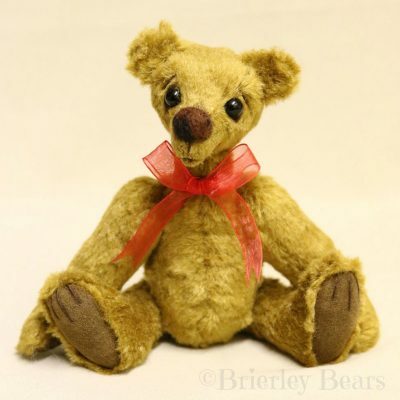 Fergal is a one of a kind little alien bear, approximately 8″ (20 cm) tall when standing. 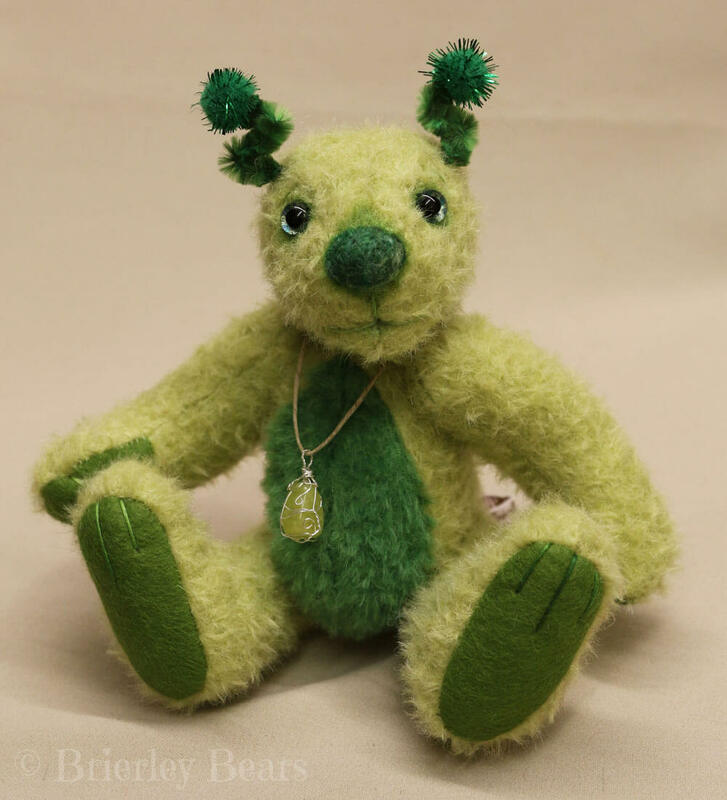 He is made from green Schulte mohair with green felt paw pads and has green furry antennae. He is five way jointed, with nut & bolt joints in his arms and legs and a cotter pin neck joint. 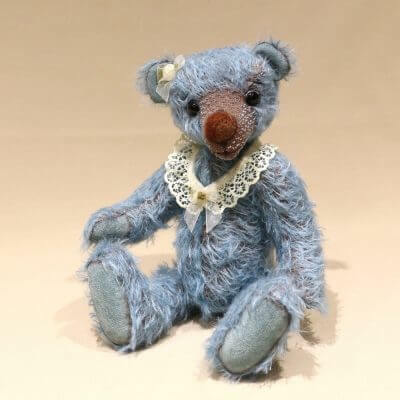 Fergal is filled with polyester fibre and has some stainless steel balls in his tummy for extra weight. He has hand painted green glass eyes and has a large needle felted nose. Fergal has been carefully hand shaded. He also wears a handmade wire wrapped new jade pendant.